In season and on trend, this Topshop Trumpet Sleeve Romper I found at Nordstrom for under $100 is everything you need right now. This blush color is dominating currently, and with spring around the corner, you’ll be wearing it all season. Add in the popular trumpet sleeve with feminine bow detail, and the tailored structure of this well made piece and you’ll be wearing it from sun up to sun down. Perfect for work or date night, where wouldn’t I sport this look? One of the most complimented ensembles I’ve worn recently, if you are looking to make a scene, buy this now before it sells out! I did a simple feminine pairing with black accessories, but you can definitely get creative with this one. Later, I wore it again with a chunkier belt and tights. Another idea would be to make it more casual with booties and an industrial vest of some kind or a leather jacket. Really it’s all about the mood with this look. Go with what you are feeling. For my purposes, I was ready for date night or an appearance on one of the news outlets I work with as a travel and lifestyle contributor. See me wearing it on-air here (about a 1 min 45 seconds in), or the video below. On a sizing note, this is a UK brand so the sizes run a little differently than in the US. I ordered a size up from my usual because I run a little wider in the hips and my legs are very long. I wanted it to be a looser fit, not body hugging. My shoes were a steal from my new fav online shoe boutique conceived here in my hometown, anunlikelypear.com . Grab 10% off your next order with my code AMYWESTTRAVEL ! So many cute designs. This pair is now on sale for $50 so grab them while you can! 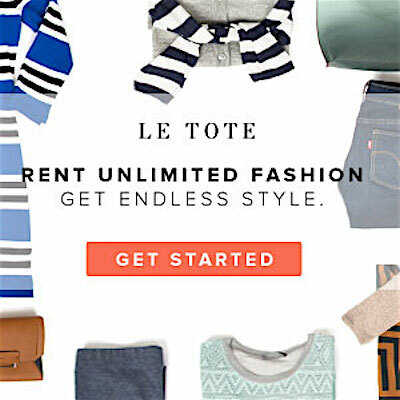 My hand bag and belt were in my latest Le Tote (a monthly rental service I subscribe too). Grab $25 off your first tote here! I’m also including a similar bag in my shop widget below. What are your favorite spring trends? I’d love to hear your feedback in the comments below. Rio Hair Studio for keeping my color and cut fresh!